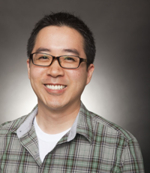 Reuel Kim currently works at Riot Games as the Lead Video Editor for Central Publishing. In addition to editing videos that reach millions of players worldwide, he manages and mentors a team of editors and gameplay capture artists. He also serves in a key consulting role, providing teams with regular creative feedback, teaching classes in storytelling and other creative skills, and architecting post-production workflows across international territories. On the side, Reuel develops post-production software. He is the author of Subvert, a subtitling utility for Final Cut Pro X that is available on the Mac App Store, and the main author of Pipeline, an open-source Swift framework hosted on GitHub for easily creating and modifying FCPXML files. Reuel’s professional work in film production began in 2007. From 2007 to 2010, he produced a variety of television and web commercials and corporate videos for clients such as Coca-Cola, Honda, and Comcast. In addition, he has made several short fiction and documentary films, many of which have screened at film festivals and cultural events across the country. From 2010 to 2011, he taught undergraduate video editing and motion graphics at the Art Institute of California – Hollywood. Reuel was also formerly the co-director of the Los Angeles Korean International Film Festival from 2005 to 2006. Reuel received his Master of Fine Arts degree in film production from the USC Graduate School of Cinematic Arts in 2007. He also completed a program in Advanced Character Animation Studies from Animation Mentor in 2011. He holds a Bachelor of Arts degree in Sociology and Asian American Studies from UCLA. In his spare time, Reuel enjoys baking artisan bread, 3D printing, building drones, and spending time with his wife and son.